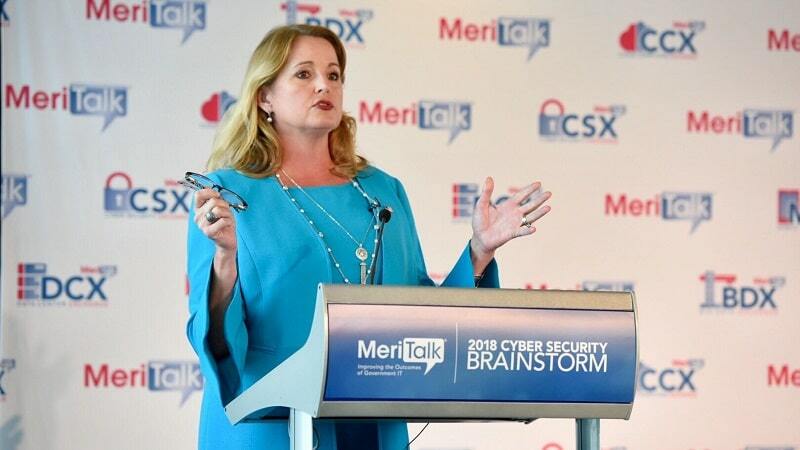 Through multiple efforts in both the executive and legislative branches of government, the Federal government is focused on supporting and adopting artificial intelligence (AI) technologies, said Federal CIO Suzette Kent on Wednesday. Speaking at AFCEA DC’s Artificial Intelligence and Machine Learning Tech Summit, Kent touched on the government’s various efforts regarding technology, data and people, and how they factor into the adoption of AI. “I’ve been walking the halls of both the legislative and executive branch, and I’m having a great time … talking to people about the support of our stakeholders,” said Kent. That support hasn’t just been on paper. On the legislative side, Kent highlighted the report on AI released by Reps. Will Hurd, R-Texas, and Robin Kelly, D-Ill. She also noted the Foundations for Evidence Based Policymaking Act, which included the requirement to establish the chief data officer position at CFO Act agencies. “This year, there’s new initiatives on both sides and both the House and the Senate on AI,” she added. Kent also described how the efforts from her office and the rest of the executive branch support AI adoption in Federal government as well. “To be able to make something an important priority and to pool all those resources together in the Federal government, it takes the second component, which is broad-scale support across all of our stakeholders,” she said. Inclusion of AI in the National Cybersecurity Strategy. “I went through that long list on purpose to make it absolutely crystal-clear that this is a priority for all of us – all of us as Americans, across the board, in our Administration and congressional leaders,” said Kent. Joining that list of policies soon will be the Federal Data Strategy. The Federal CIO also noted that her office is working on an automated technology policy for Federal agencies to support those efforts and help them move faster. She noted that the policy will include cybersecurity impacts, oversight of models and data, privacy and ethics, and reevaluation of lessons learned. “If you think about the foundation we’re trying to lay, we have got all the stakeholder support, we have priorities that bring together understanding and use of the technology, the foundational investments we have to make in data, and the investments we are making continuously in the people of the Federal government,” she said.